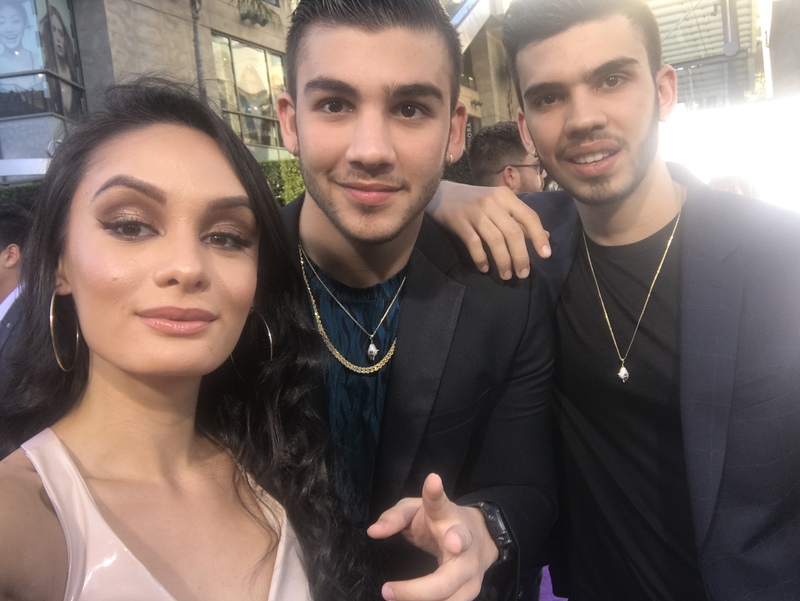 ﻿VIPAccessEXCLUSIVE: Manuel Turizo And Julian Turizo Interview With Alexisjoyvipaccess At The 2017 Latin American Music Awards! There’s one incredible musician who we can’t stop swooning over and… you guessed it, it’s the extraordinary Manuel Turizo! It’s clear to see that Manuel Turizo has and continues to make an everlasting mark in the entertainment world. At only 17-years-old, Manuel Turizo has accomplished well beyond his years and he has proven that he will be one singer / songwriter who makes music history. He gained widespread and international success with his many amazing songs including “Una Lady Como Tu,” “Besame,” and many more. In fact, he was even nominated at the Kids’ Choice Awards Columbia for the category, “Favorite Song.” With his fantastic charm, his unrivaled talent, and his good looks that everyone can’t help but gush over, there is no question as to why Manuel Turizo’s successes continue to skyrocket rapidly. In fact, music runs in the Turizo family as Manuel Turizo’s excellent brother, Julian Turizo is also a gifted musician too. With over 1 million subscribers on his YouTube channel and collaborations with awesome musicians including Nicky Jam, Valentino, and others, Manuel Turizo is an internationally-acclaimed artist that we all can’t get enough of. I, Alexisjoyvipaccess had the honor of covering the 2017 Latin American Music Awards and had a brilliant time interviewing Manuel Turizo and Julian Turizo at the event. Manuel Turizo and Julian Turizo dished exclusively to Alexisjoyvipaccess all about what it was like for them to have been at the prestigious Latin AMAs, Manuel Turizo talked about all of his amazing, upcoming projects, and so much more only in our VIPAccessEXCLUSIVE interview. Manuel Turizo and Julian Turizo even sent out wonderful messages to all of their fans – hear what they had to say in our VIPAccessEXCLUSIVE interview below. Thanks for the fun interview, Manuel and Julian! Check out my VIPAccessEXCLUSIVE interview with the sensational Manuel Turizo and Julian Turizo at the 2017 Latin American Music Awards below! Previous VIPAccessEXCLUSIVE: In Real Life Interview With Alexisjoyvipaccess At The 2017 Latin American Music Awards! Next VIPAccessEXCLUSIVE: Lauren Giraldo Interview With Alexisjoyvipaccess At The 2017 Latin American Music Awards!